A day in the life of the Brown Harris Office Manager . . . Karen is responsible for the operation of the day-to-day business. She is responsible for record keeping, office budget, payroll, taxes, benefits, state registration, insurance licensing and continued education status for Todd and Gillette. Her favorite duties continue to include estate processing and cost basis research. Although Karen wears many hats in the office she finds the time to chat with clients and visitors whenever possible. Karen lives in Culpeper with her husband, Pastor, Dr. Ron Panebaker. She has three adult children, Amanda, Emily and Erik and five granddaughters. In addition to family time, Karen enjoys her animals and loves gardening, hiking and trips to Williamsburg. Joanie, a Culpeper native, began her career in banking. In 2001, Joanie became a financial assistant for Gillette Harris and is now an executive assistant for Gillette Harris and Todd Brown. She is Brown Harris’ insurance specialist, obtaining a life and health insurance license in 2008. Joanie presents solutions for our clients’ life insurance, long term care and disability needs. Joanie’s customer service and million dollar smile make our clients feel “right at home” on every visit. With her husband David, Joanie enjoys travel and spending time with family and friends. Certainly a great joy in her life is her granddaughter, Annabelle Clair Jones, born December 17, 2014. Maureen joined Brown Harris Wealth Management, March 30, 2009. She has an extensive background in computers, including software installation, computer training, business marketing, networking and customer service. This background has proven helpful in her current position as Todd Brown and Gillette Harris’ executive assistant. She and her husband, Jim, have been married for 38 years and have four grown children, two daughter-in-laws and four grandchildren. Besides quality time with family and friends, Maureen enjoys taking that early morning walk before work, cooking healthy, gardening, listening to all music genres, painting with water color and working on crafts. Karen C. “Dee-Dee” Ingram began her financial career in Culpeper working for a local bank for 32 years where she worked her way from Teller to Assistant VP & Financial Center Manager. She attended Germanna Community College. She has been very active in the community and has served on the local Hospice board for more than 5 years. She was born and raised in Madison County where she built her home on the family farm and stays busy tending to her horses, cats and dogs and of course her children, Megan 18 and Jon 15. She enjoys jet skiing, snow skiing, western trail riding, foxhunting and spending time with her family. 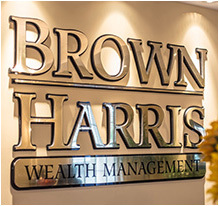 She joined Brown Harris in July 2014. Dee is the initial contact person at the firm and loves meeting and greeting new and existing clients. Her extensive financial background, excellent customer service skills are an asset to the office. She provides support to all of the Brown Harris staff on a daily basis and assures that the office runs smoothly.